The celebration on June 20th of the unveiling of the plaque documenting the Master Building’s listing on the National Register of Historic Places was a smashing success, highlighted by the attendance of several visiting dignitaries, special guests and an exceptionally large turnout of residents, enthusiastic and in good cheer, and capped by a champagne toast, which continued into the evening until the case of champagne — generously provided by Orsid Management — was heartily consumed. 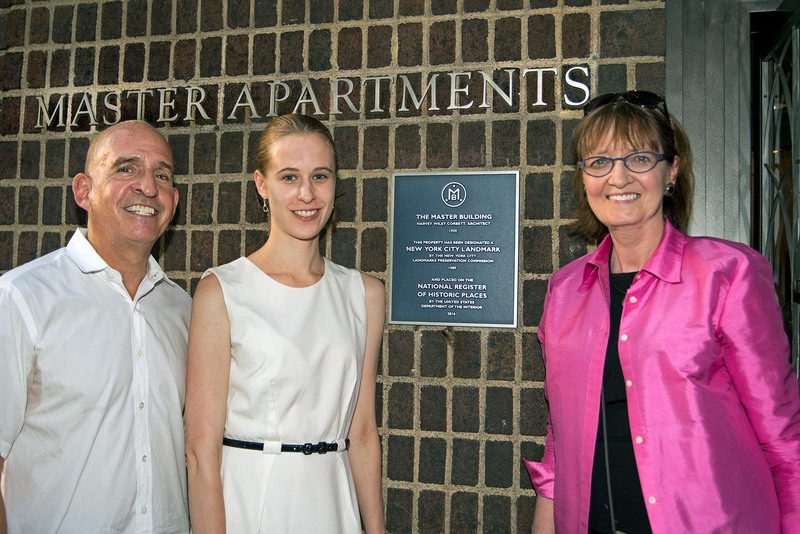 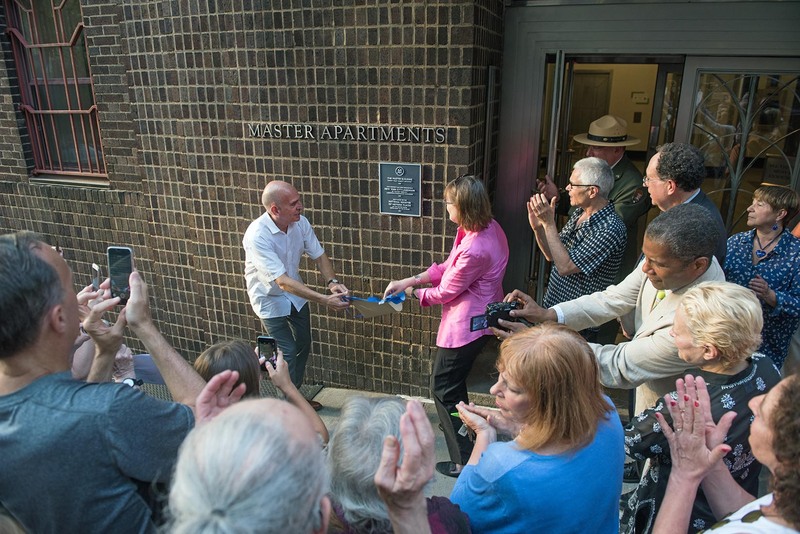 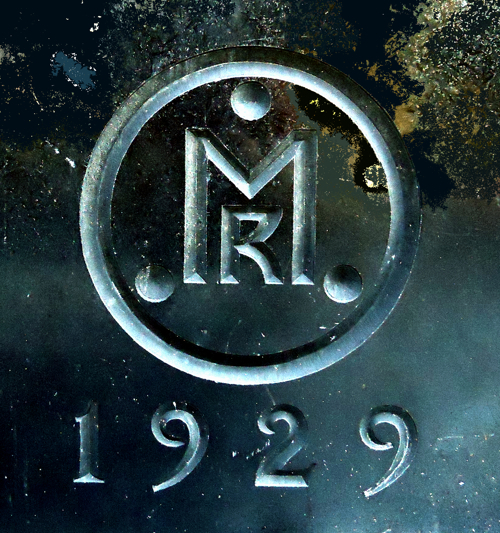 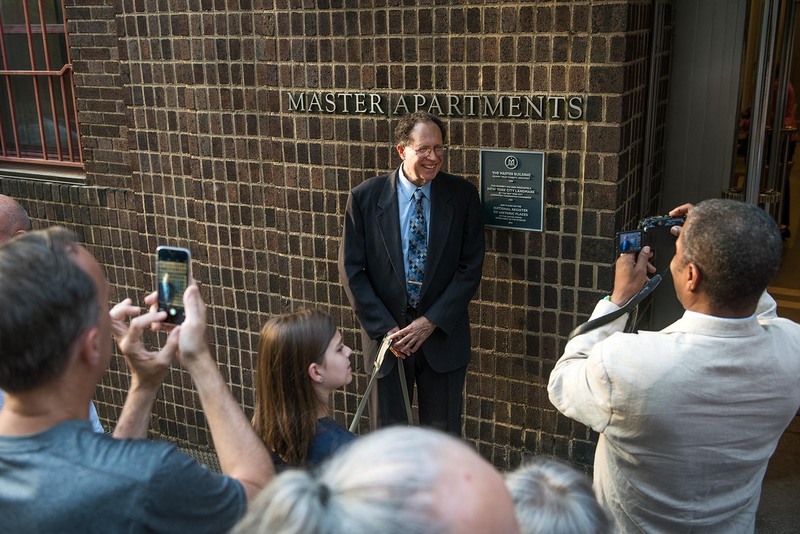 The unveiling ceremony took place on the summer solstice, the very day of the 28th anniversary of the Master Apartment’s conversion to a cooperative. 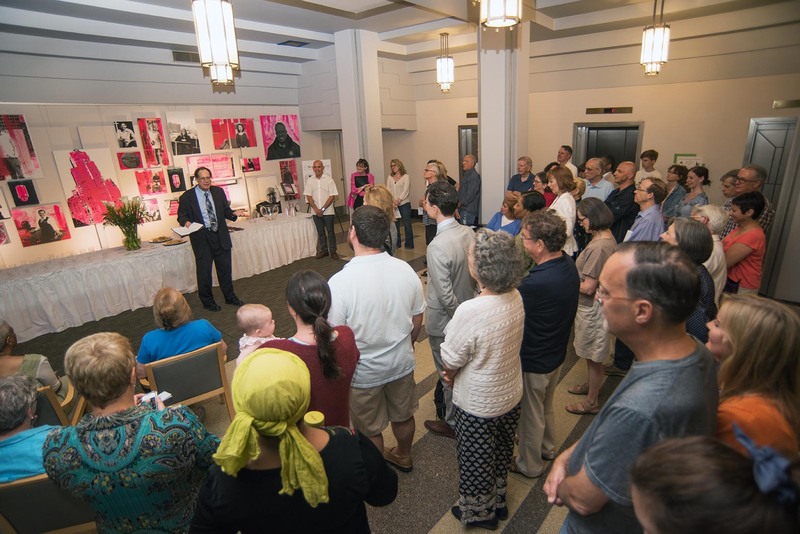 Before the official unveiling in front of the building, in the Master Gallery, Daniel Farb conveyed greetings to attendees from his mother Oriole Horch Farb Feshbach and then related some of his own memories including a moving recount of how his parents provided work to actors blacklisted during the McCarthy era. 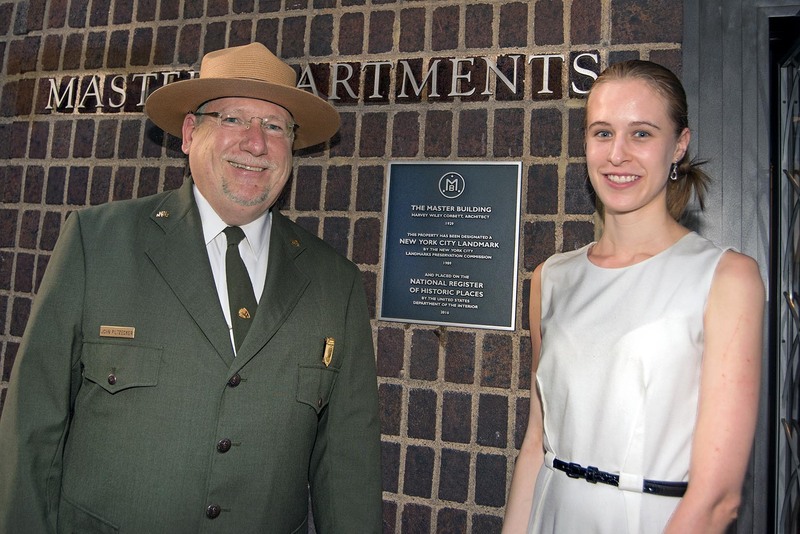 John Piltzecker, Superintendent of the Statue of Liberty National Monument and Ellis Island, delivered congratulations from the National Park Service regional office and put in perspective what a special honor it is to be listed on the National Registry. 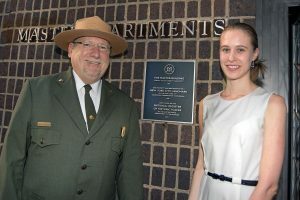 Of the 90,000 sites on the registry, only 545 (including Master Apartments ) are in New York County..
Corinne Engelbert, the historic preservation consultant who prepared the nomination, attended the celebration as well, as did Randy Turner, a retired National Parks Service manager and member of the co-op ad hoc committee which recommended proceeding with a bid to be listed. 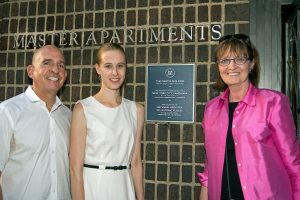 Meisha Hunter Burkett, a historic preservationist and former resident of the Master Apartments, and another member of the ad hoc committee, was unable to attend. 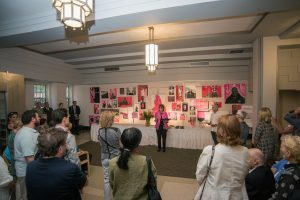 Here are some photos of the event contributed by Master resident renown photographer Martha Cooper.